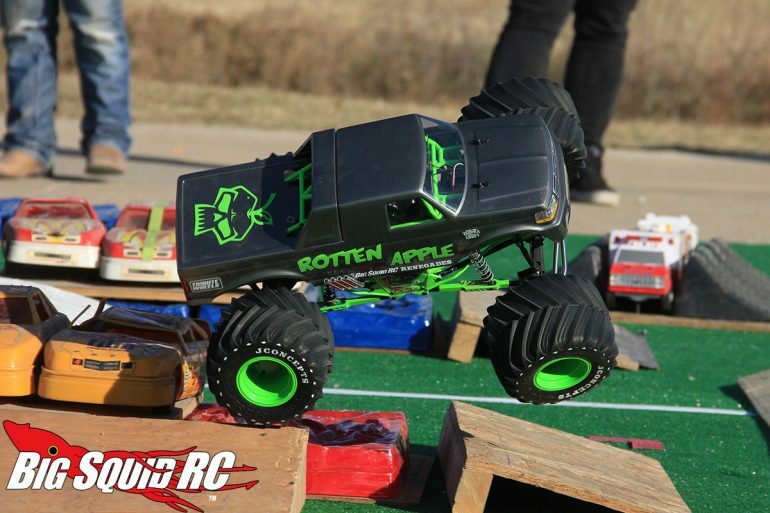 Monster Truck Madness – 3 Predictions for 2019 « Big Squid RC – RC Car and Truck News, Reviews, Videos, and More! Happy New Year to all! As we head into the new year, I want to start it off by making three predictions that I believe will come to fruition by the time 2019 fades. Of course, these are all monster truck related. Let’s get to it. #3 – 1/10 4×4 Truggies are going to get really popular. Ok, so this one isn’t totally on the ball for monster trucks….but truggies are closely related, right? Just bare with me. So it’s been a really long time since I’ve competed in proper r/c off-road racing, but seeing some of the 4×4 truggy conversions hitting the market and the growing popularity of the class has me itching to build one. If you aren’t familiar with what I’m talking about, just think of a 4×4 stadium truck. This isn’t just limited to race vehicles though, as Traxxas really cool Rustler 4×4 has been a big hit. If you’ve never driven one of these things, just know that they both rip AND handle like a dream. Ya know, like a 1/8 truggy….just in a way more compact (and affordable!) size. This segment of r/c is gonna get really hot. #2 – There will be a new solid axle monster truck release that’ll be a big deal. The way the hobby seems to work is that it takes two or three years for manufacturers to really catch on after something becomes popular. 2016 was when solid axle trucks really started to explode in popularity, in large part due to the Axial SMT10 (more on that in a minute). I have heard rumblings for years that company X was going to get in the solid axle monster game, but nothing has ever come of it…yet. There has been too much smoke for there not to be any fire. Methinks 2019 is when we finally see a legit competitor to both the Tamiya Clod Buster and Axial SMT10. #1 – The Axial SMT10 will come back and be better than ever. If you haven’t heard, the Axial SMT10 was quietly discontinued late last year. Some folks within the solid axle monster community are fretting that it means the end. Me, well I’m actually excited as I’d bet we see it return better than ever. Being that it was discontinued at the end of the year and knowing how many licensing agreements work, I’d place a wager that the reason it’s going bye-bye is simply because the Monster Jam license is expiring. I’d guess we will it see it return sometime this year with a different body style. I think that a slight refresh is actually just what the platform needs. I love the SMT10 but I know that it was a tough sell for many at the original price. I have heard from several reputable folks that a good chunk of that price was the licensing. I’d expect that when it returns, it’ll have an unlicensed body and tires. If they can get the retail price to be in the $279 range, I think that would really help sell it to folks on the fence…OR keep the price up but include some goodies that many of us have to add after the initial purchase (a peppier motor, esc without drag brake, front sway bar, bigger tires) and make it a good value proposition. My dream? It comes back as a raw builder’s kit like the SCX102. JConcepts and Pro-Line are killing it with the tire, wheel and body options so Axial should just let us choose. I think monster truck builders would eat that up. Regardless of the flavor it comes in, I think the platform will come back and be better than ever. Alright guys, that’s what I got. What do you think will happen in the monster truck scene in 2019? Talk to yas next week!